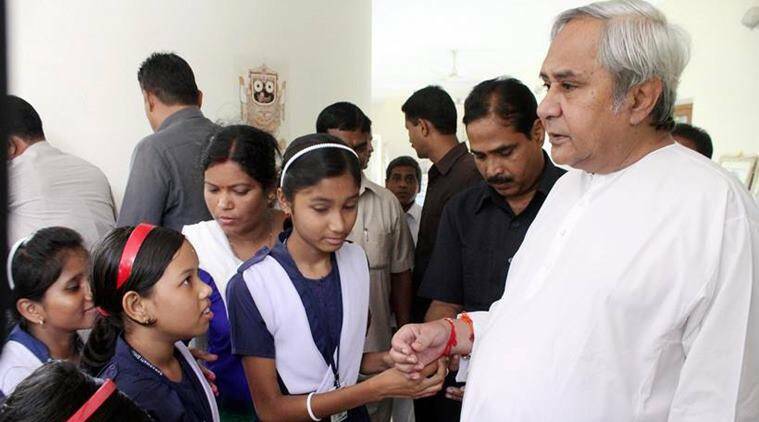 "We are pleased that the Government of Odisha has showcased leadership by proposing 33 per cent reservation for women in Parliament and the Assemblies," Deputy Country Representative of UN Women, Nishtha Satyam said in a letter to Naveen Patnaik. The United Nations Entity for Gender Equality and the Empowerment of Women (UN Women) has lauded Odisha Chief Minister Naveen Patnaik for his government’s proposal of 33 per cent reservation for women in Parliament and the state Assemblies. “We are pleased that the Government of Odisha has showcased leadership by proposing 33 per cent reservation for women in Parliament and the Assemblies,” Deputy Country Representative of UN Women, Nishtha Satyam said in a letter to Patnaik. The initiative taken by the Odisha government will likely renew dialogue on the issue at the national level, the UN Women said. only if half of the population have a role in the highest decision-making bodies of the states and the country,” said the letter which was released Sunday. 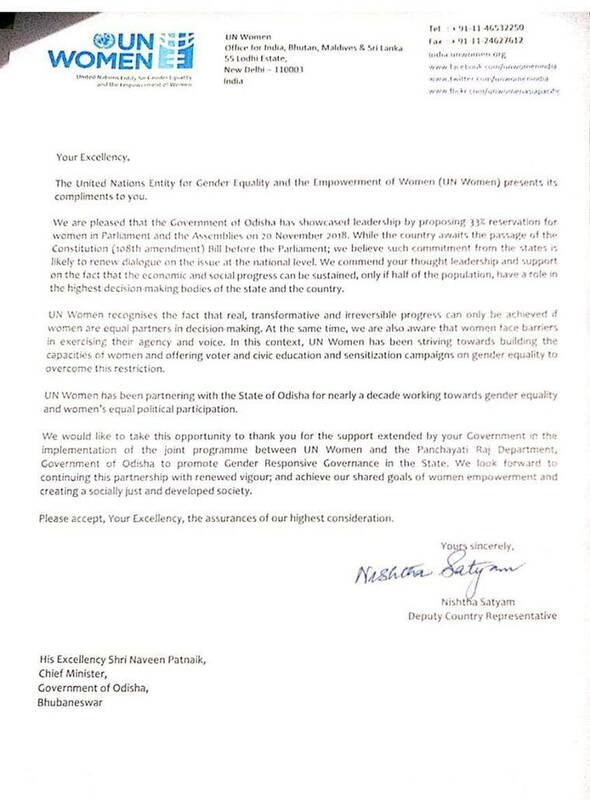 UN Women’s letter to Odisha CM Naveen Patnaik. The UN Women also thanked Patnaik’s government for supporting the joint programme between the organisation and the state’s Panchayat Raj Department to promote “Gender Responsive Governance” in Odisha.